The Texas Senate on Wednesday approved Lt. Gov. Dan Patrick’s multibillion-dollar tax relief package to cut property and business margins taxes, tossing the ball into the House's court. "Rather than spend excess revenue, the Senate has voted to return $4.6 billion to Texas homeowners and businesses over the next two years," Patrick said in a statement. 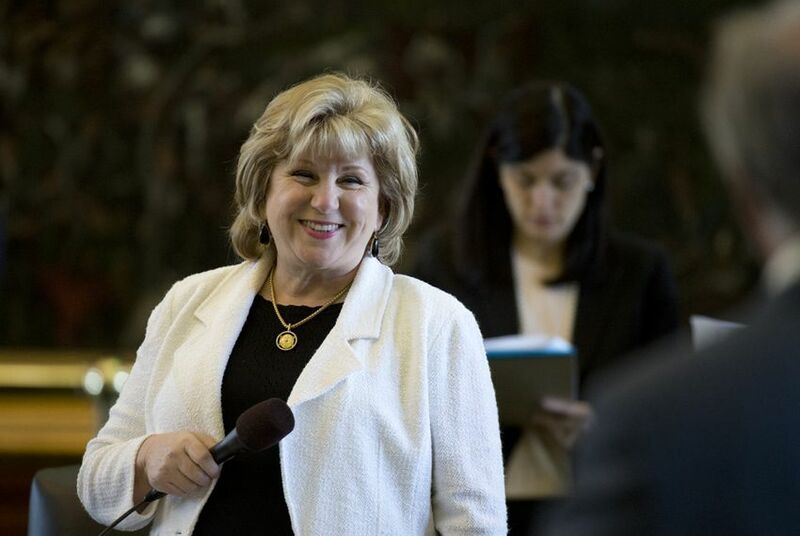 The biggest piece of that package, Senate Bill 1, authored by Senate Finance Chairwoman Jane Nelson, R-Flower Mound, passed the Senate 26 to 5. The bill devotes about $2.4 billion to increase homestead exemptions from school property taxes. “We need to relieve some of this burden on homeowners, and that relief needs to correspond with home values, now and into the future,” Nelson said. The constitutional amendment needed to approve the property tax changes passed 23 to 8. Texas homeowners currently receive a $15,000 homestead exemption from school property taxes — for example, the owner of a $100,000 house would only pay school taxes on $85,000. Nelson’s bill would change the homestead exemption rate to 25 percent of the state’s median home market value, raising the exemption to about $33,000 in 2016. State Sen. Paul Bettencourt, R-Houston, a co-author of the bill, estimated the larger exemption would save homeowners more than $200 a year. The only Republican "no" vote came from Kevin Eltife, R-Tyler, who has called for paying off state debt and taking care of deferred maintenance before tax cuts. On the Senate floor, Nelson dismissed criticism that her bill would use up state funds that were needed for more pressing purposes. “We also have an obligation when our economy is healthy, when we have billions of dollars in our coffers that the taxpayers have given us because property tax values are so high right now. I feel like we ought to give some of that back to the people that sent it to us,” she said. Two other measures that were approved by the Senate would cut taxes for Texas businesses. Senate Bill 7, which would cut the business franchise tax by 15 percent, passed 24 to 7. The bill would cost the state about $1.4 billion in lost revenue over the next two years, according to state projections. And Senate Bill 8, which would exempt businesses that make less than $4 million annually from the franchise tax altogether, also passed 24 to 7. The higher exemption would cost the state about $760 million over the next two years. Currently, only businesses making less than $1 million annually are exempt from the franchise tax. They criticized the franchise tax cut for placing an undue burden on big businesses in order to cut taxes for smaller ones. State Sen. Charles Schwertner, R-Georgetown, the author of the bill to expand the franchise tax exemption, responded to those business leaders on Tuesday in a letter of his own. “While I will continue to support legislation that seeks to provide broad tax relief for all Texas businesses, I think it is important to provide enhanced tax relief to those struggling small- and medium-sized businesses that need it the most,” Schwertner wrote. He said his bill would completely eliminate the franchise tax for more than 61,000 small businesses in Texas — more than 52 percent of business currently paying the franchise tax.